On Thursday, my mum, my sister, my brother and I went down to London to meet our lovely friends, Marcie, Zizi (Aziz) and Leila. We had a great fantastically awesome time. 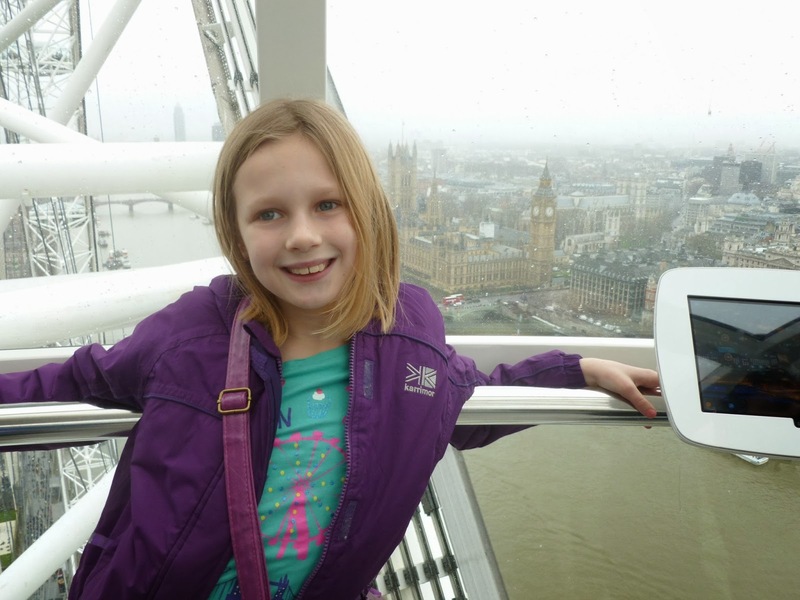 First of all, we went on the London Eye - it was my first time. 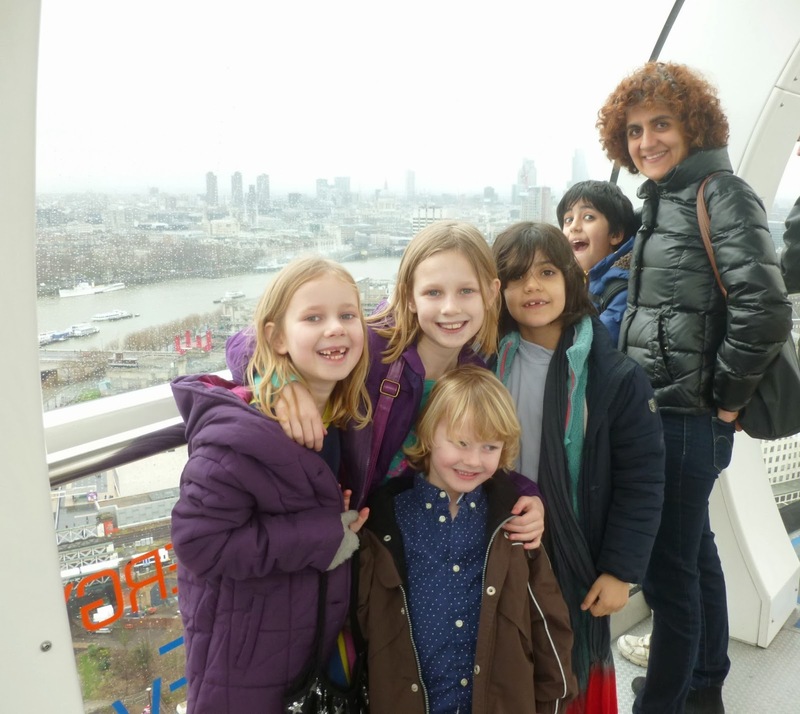 The views were spectacular especially at the top; even though it was quite a cloudy day we could still see for miles and miles out spotting famous buildings and landmarks like Big Ben, Buckingham Palace and Westminster Abbey. I took lots of great photographs to remember this thrilling and thoroughly amazing experience. I loved being to see out far into the distance seeing lots of different buildings with all kinds of shapes, sizes and colours because the design and structure was really interesting. Once we'd finished lunch we went down to the South Bank for a run around. They was all kinds of things, mini houses, climbing things and a nice green for playing It. Having had a good time getting plenty of exercise we went into the South Bank Centre. Zizi and I rushed over to this Lego model and started poring over it. Now here come's the cool bit. As we were looking at the model these people started walking over and talking. Following the lady around were these photographers but I barely noticed - my mum pulled me aside and explained to me that the person standing right next to me was HRH Prince Charles' wife Camilla, The Duchess of Cornwall!!!!! I didn't even realise it was her. Someone royal was standing next to me and I didn't know! I was amazed and felt absolutely amazed, brilliant and shocked. Well that explains the cameras. Then every time we stopped to look at something Camilla was there. She was stalking us! I would definitely like to go on the London Eye again. We'll have to take my dad there; he'll love it too, I know he will. 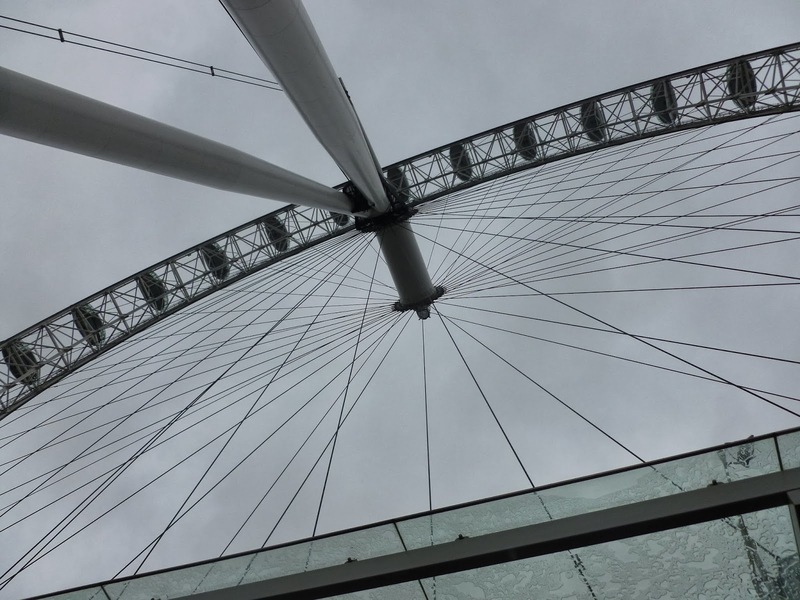 Visiting the London Eye is a great idea for anyone with a clear reach to London and will be a great, memorable day out for all the family. Yes we did, we must do something like it in Easter.